facebook tanks and so do i! last week, it was all about the facebook initial public offering (ipo) making billionaires out of the facebook team, about the ipo revitalizing the united states stock market, about investors clamoring for a piece of the $38 per share pie! facebook was bigger than elvis, jesus, and the beatles combined! last week, mark’s fiancee priscilla graduated from medical school, he had a birthday, there was the great day when facebook shares were made available to the public for the first time and, of course, there was the wedding. this week? 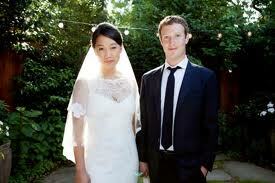 maybe it’s a good idea that mark and priscilla are on their honeymoon. because investors think their honeymoon with facebook is over! shares opened at $38 and have struggled to keep above $32 ever since. one startling accusation/development has occurred: jp morgan, morgan stanley and goldman sachs cut their price estimates and VERBALLY advised their largest institutional investors to be wary of the facebook ipo. the smaller investors were not given the benefit of this advice. and where did this negativity come from? the three companies have indicated that a facebook executive, again VERBALLY, that the facebook financial situation wasn’t all that great and that expected revenues were going to be lower than expected. there will be investigations, there will be further drops in the stock price, i suspect it will bottom out at $16 per share. at least, that’s when i’m going to start chipping in. and it will be a new day for facebook as well!